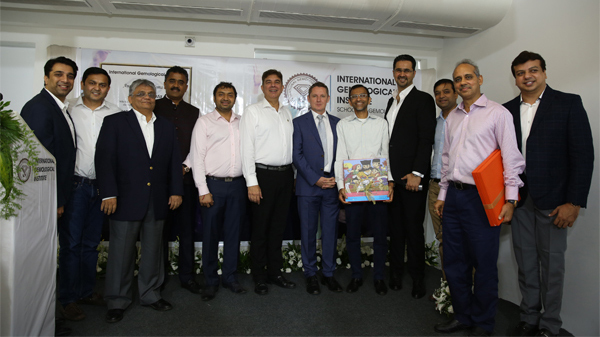 The International Gemological Institute (IGI), announced it has established a new School of Gemology, which will operate out of Laxmi Tower, at the Bandra Kurla Complex in Mumbai. On August 16th, a ceremony was held to commemorate the news. The Honorary Consul General of Belgium in Mumbai, Peter Huyghebaert, was the chief guest at the event. Other notable guests in attendance include Colin Shah, Vice Chairman, GJEPC; Mehul Shah, VP, Bharat Diamond Bourse; Shailesh Sangani, Convenor of the Exhibitions Sub-Committee of the GJEPC; Milan Parikh, Mahendra Brothers; Ghanshyam Dholakia, Hari Krishna Exports; Rajesh Lakhani, Kiran Gems and Ashraf Motiwala from A.S. Motiwala. 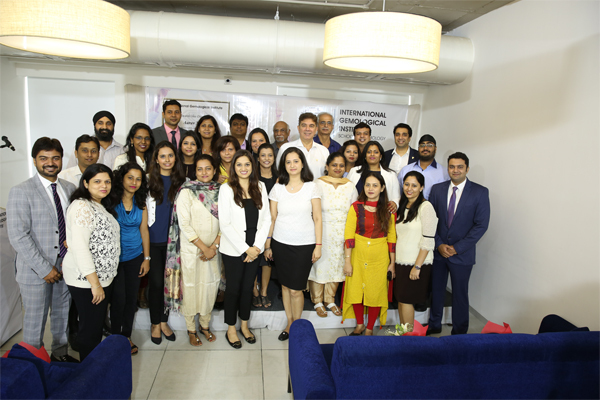 IGI's School of Gemology has been an integral partof the Institute's pursuit to empower the gemstone and jewelry industry. The newly established facility is poised to help students work more effectively in terms of technology and support, which will enable them to pursue their creative calling. The new premise is a sprawling 5,000 square foot space with classrooms that have been named Heera, Neelam, Panna and Manek, which are the Indian names for Diamond, Blue Sapphire, Emerald and Ruby, respectively. The jewelry design room is named Aakaar, which means "design or form." 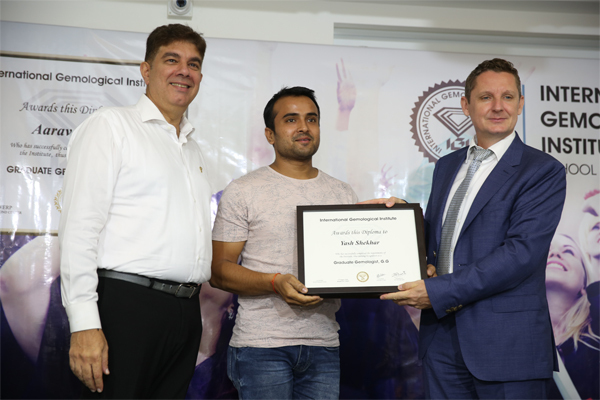 "Selling a diamond is becoming increasingly complex as this industry is facing challenges from other luxury industries," proclaimed Peter Huyghebaert, Mumbai's Consul General of Belgium, to students at the ceremony. "In this scenario, IGI's School of Gemology is exactly what we need right now – its offerings will prepare you to face this myriad of challenges." The IGI School of Gemology is known for its astounding curriculum and excellence in quality, adhering to the highest industry standards. The courses are designed for creative minds to craft all varieties of jewelry for both local and international markets. From Polished Diamond programs to Jewelry Business Management graduate courses, the School has an exceptional range of coursework for those interested in a jewelry-related career. IGI also offers courses for jewelry retailers and their sales teams to be trained and provided with vital information that will help them to better understand their merchandisein order to deliver the best service to their customers. 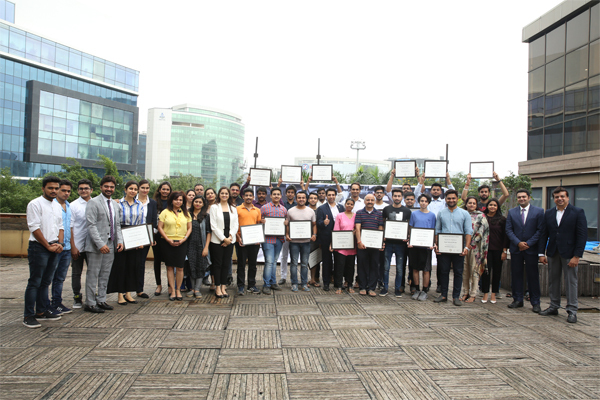 "The IGI School of Gemology has been instrumental in educating and empowering the industry since 1975; having first introduced international grading standards to the diamond manufacturers in India and remaining a constant resource and knowledgeable partner," said Tehmasp Printer, MD IGI-India. 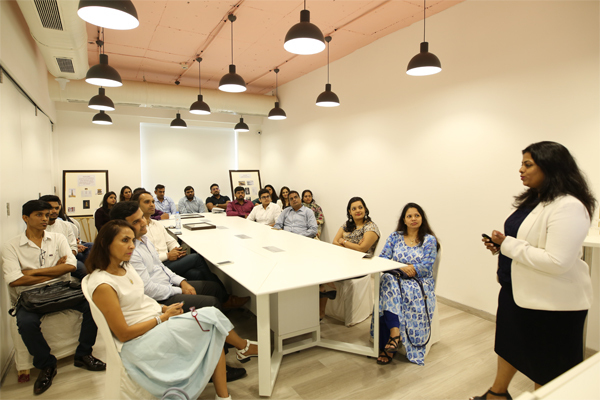 "Today, the School's evolution affords gemstone and jewelry zealots a state-of-the-art facility in Mumbai, which will help them shape the future of our industry." For more details on IGI's School of Gemology, please call 022 49736065 or the toll-free line at 1800 102 8610. You can also visit www.igi.org for more details on the institute and its educational offerings.